Imprinted on a large stone just outside of the Rossi Student center are the words “Evangelical Unity.” As one of CIU’s core values, the campus dedicates a week each year to exploring the practical and theological implications of living out each day as the body of Christ. The visual analogy was very well received; the students loved how memorable it was and talked about it for days. This led to the question: how should Christians respond to disagreements? Students were encouraged to stay humble and love with the admonition of James 1:19. On Tuesday, classes were cancelled as RALI (Rams Athletic Leadership Institute) planned a day full of community building events and stirring testimonies. After welcoming in the morning with coffee and doughnuts, the Moore Fitness Center was packed with students, faculty and staff to witness an exciting and close basketball game featuring teams made up of faculty and staff members. New Testament Professor Dr. Mike Naylor was a crowd favorite, with students cheering him on. The game was planned to show that what unites us is greater than what divides us. “The athletes have created a metaphor,” said Music Program Director Dr. Rod Lewis after the game. Also after the game, student testimonies included that of junior Jeff McIlwain from New Jersey who said that coming to CIU has helped him impact many different people. He realizes he’s part of a bigger community. Cancer survivor John Jones, a junior, shared how the people at CIU prayed for him and supported him deeply during one of the scariest years of his life. Even though he hadn’t always been outgoing or friendly to others at first, he knows now that those people cared for him deeply. “Two months after my freshman year I got diagnosed with brain cancer. I was out of school for a whole year.” Once he got back, he realized that his freshman year roommate, Ryan McDaniels, had been praying for him the entire time. Not only that, but McDaniels rallied other people to pray for him. Jones said that Evangelical Unity was lived out despite, “Cursing the people in the body of Christ but still receiving love.” It was a powerful testimony. Later that afternoon, pastors from Sandhills Community Church in Columbia, CIU alumnus Dr. Jeff Philpott who is white, and Dr. Malcolm Walls who is black, talked to students about how they learned to love each other and lead a church together, even though they could have been tempted to focus on their racial differences. They see each other as brothers in Christ and hope others see the same. On Wednesday, CIU Counseling Professors Dr. Roni Pruitt, Dr. Mark Bolte, and Dr. Steve Johnson discussed differing philosophies on gender roles and the scientific evidence of genetic makeup, along with theological differences between complementarian and egalitarian beliefs. Pruitt, a CIU alumna, told her story of being a woman in ministry. Though she has attended five colleges, she pointed out she only teaches at CIU, because it is a special place to her. The trio emphasized that Christ is the main unifier in the church and on campus. 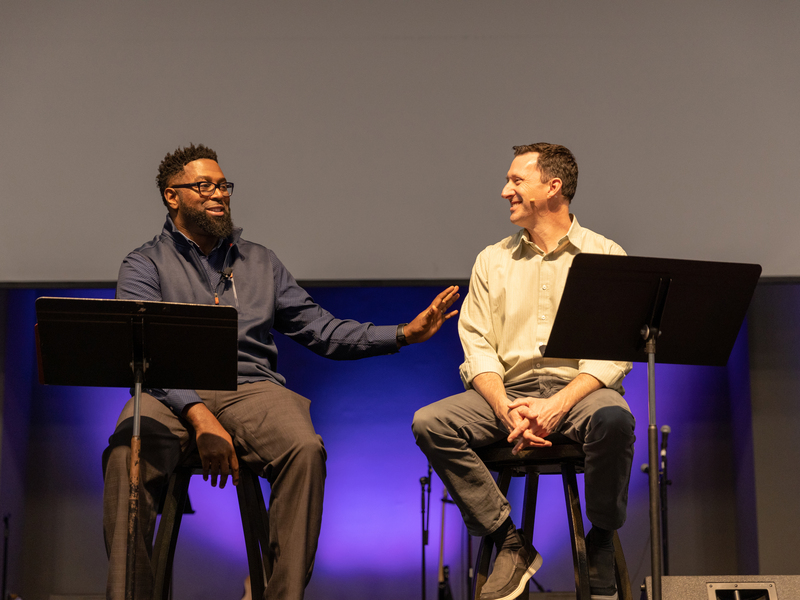 Closing out the week was a panel discussion where students were encouraged to take advantage of their time at CIU, diving into the Bible and noting that differences in political party, race and more fade in comparison to Christ. Listen to the Evangelical Unity Week Chapel messages on CIU’s podcast page.